With the Oscar nominations announced, I would like to give my own opinions on the films nominated for Best Film. As it should be, there will be varying feelings and viewpoints on the eight nominees reviewed below, as each movie will affect everyone differently, so please see this as merely my personal reaction to the listed features, rather than an attempt to override other people’s views on these films. That is part of what makes cinema so wonderful, as we don’t know how a certain film will affect, move or excite us. This year saw a large number of exclusions and snubs, some of which are quite baffling. Movies which I felt deserved recognition (or more substantial nominations) were Shoplifters, Leave No Trace, Eighth Grade, The Old Man & the Gun, If Beale Street Could Talk, Disobedience, You Were Never Really Here, A Private War, Annihilation, Won’t You Be My Neighbour?, Lean On Pete, Custody, The Guilty, First Reformed, Mission Impossible: Fallout, Thoroughbreds, Widows, Sorry to Bother You, The Sisters Brothers, Suspiria, and Beautiful Boy. Though I’m not a fan of the forever self-inflating superhero genre, Black Panther was one of the few entries that stood out from the crowd, due to its unique cultural perspective, and a gallery of well-written characters that were then filled by a perfectly chosen cast. Co-writer/director Ryan Coogler, who was able to put his own individual stamp on the long-running Rocky franchise with the terrific Creed, is amazingly able to do the same thing for the most part with a large-scale Disney/Marvel production, no small feat when these films follow a strict, formulaic template. That intrusive template does rear its head here, most notably during the anti-climactic, disappointingly routine finale. On the whole however, this is one of the best Marvel movies, with Captain America: The Winter Soldier still the pick of the crime-fighting bunch. Despite all the skill and intelligence on display, I don’t feel it quite deserves a nomination for Best Film. Definitely one of the best films of the year, and deserving of all the praise heaped upon it, this sees director Spike Lee delivering the kind of powerful, highly-charged film-making we saw in his earlier days, particularly the unforgettable Do the Right Thing. While the film is wonderfully stylised and technically brilliant as expected, what comes as a surprise is the amount of laugh-out-loud moments that permeate throughout the feature, and Lee superbly balances that mix of humour and horror. 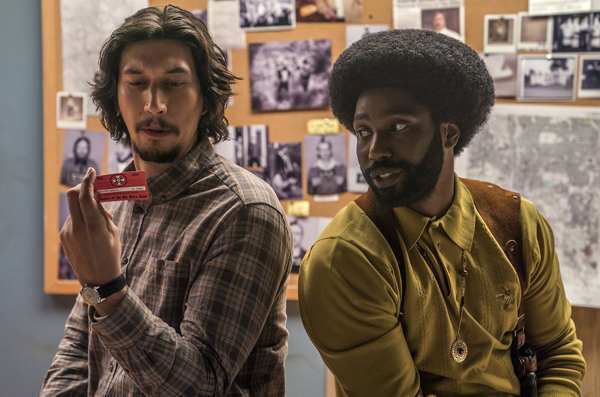 John David Washington (son of Denzel) is outstanding as rookie cop Ron Stallworth, who is bizarrely able to infiltrate the Ku Klux Klan, and is perfectly matched by Adam Driver, who excels as Stallworth’s bewildered partner. While Driver deserves his nomination, it’s disappointing that Washington wasn’t nominated for Best Actor, as much of the movie’s impact rests on his assured shoulders. I would love to see Spike Lee finally get the recognition he deserves by winning the Oscar for Best Director. 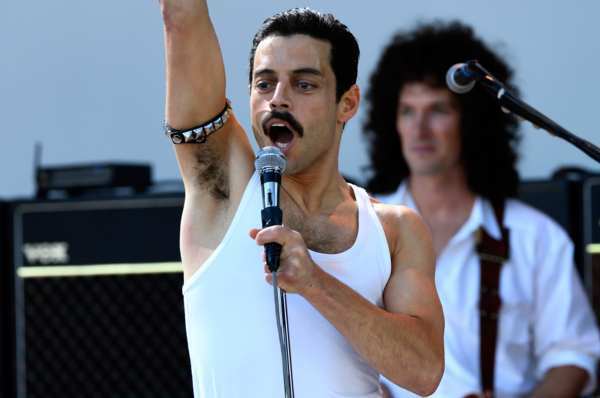 Like Hugh Jackman’s box-office smash The Greatest Showman, Bohemian Rhapsody struck a chord with audiences, to a staggeringly successful degree. But like the aforementioned film, this distorts or ignores facts about its main character, compromising a biographical drama that deliberately approaches various details in a superficial or ambiguous manner, toning down material to secure mainstream acceptance. With two members of Queen overseeing the production, many elements of the group’s evolvement and at-times fractured relationship is softened or changed, with these members’ flaws conspicuously overlooked, reminding one of the forgettable film adaptation of Jersey Boys. What is really strange is the intermittent use of the band’s music during the early years of their career, with songs beginning but rarely being heard for too long, undercutting what progress they were making in the development of their melodies. A Wayne’s World in-joke, delivered by Mike Myers himself, only underscores how wrongheaded the entire picture is. The arguments we do see quickly become repetitive. Considering what the public do know about Freddie Mercury, it is quite astonishing how his sexual orientation is hidden for half the film, and then when it is revealed (in awkward fashion), the film-makers seemingly attempt to blame his evil Irish agent for leading him down a dark path (in scenes which look like outtakes from William Friedkin’s 1980 film Cruising). There are two aspects of the film that prevent it from being a total loss. The first is Rami Malek, who injects so much conviction and passion into the role of Mercury that you truly wish that the screenplay served him better. Though he doesn’t fully resemble the iconic singer, Malek does tap into the performer’s spirit, and undoubtedly earns the Oscar nomination that has come his way, but the film itself doesn’t warrant the same attention. The other is the last fifteen minutes, where we see Queen perform at the groundbreaking Live Aid concert in 1985. The movie suddenly comes to life during this sequence, and is where we finally get to hear a number of the group’s classic songs in their entirety. Shot at Wembley Stadium, it is an electric finale, but is unfortunately too little too late. One wonders what may have been with the more unflinching look at Mercury’s life, which was to star Sacha Baron Cohen. Like Blackkklansman and Roma, this gorgeously crafted, exquisitely written, directed, and acted comedy/drama absolutely justifies its place as a frontrunner in the Best Film category, along with its nine other nominations. A heady mix of dark comedy and compelling drama, this has all the cruel, provocative hallmarks of Greek film-maker’s Yorgos Lanthimos’ previous work, but is without a doubt his most accessible film to date. 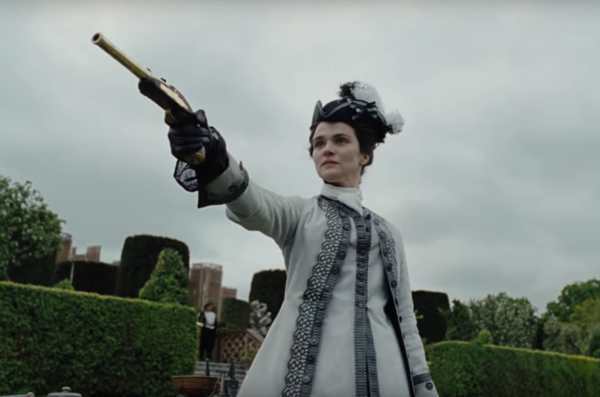 After his previous movie, The Killing of a Sacred Deer, was unfairly ignored at last year’s Oscars, it’s a relief to see the same thing not happening again with The Favourite. Imagine Barry Lyndon written by Paddy Chayefsky, and you’ll have a rough idea of what to expect. The occasional, curved imagery is reminiscent of Terry Gilliam, but is exceptionally well-used to unbalance the audience. Performances are beyond magnificent, and one hopes this will bring the immense talents of Olivia Colman to the attention of movie-goers in the U.S. Rachel Weisz is as good here as she was in her Oscar-winning turn in The Constant Gardener, while Emma Stone is considerably better as Abigail than the role that earned her an Academy Award in La La Land. Lanthimos is a unique talent, and one hopes his latest creation triumphs at this year’s Oscars. 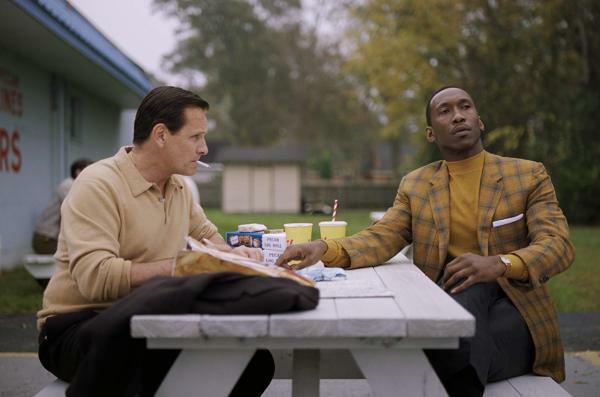 Another film that sacrifices an uncomfortable, unflinching look at its subject in favour of a more innocuous, feel-good sensibility, Green Book frustratingly fails to examine a particular part of American history, focusing instead on a broader, odd couple premise that has been seen many times before. The movie opens like a second-rate imitation of a Scorsese picture (you keep waiting for a cameo by Robert De Niro or Joe Pesci), but then devolves further into something more akin of Clint Eastwood’s unimpressive Jersey Boys, and one can see the easy stereotypes already on view. Matters don’t improve with the introduction of Dr. Don Shirley (Mahershala Ali), and the honourable intentions of trying to subvert how white people perceive African Americans is unfortunately clumsy at best, and again, never properly explored. I never knew about the Green Book, and this awful, demeaning creation, connected with the two characters’ journey through various locations in the South, could have provided a substantial springboard and framework for a look at the public’s viewpoints and beliefs at the time, and parallel them with divisions going on today, but the three writers (which includes Tony Vallelonga’s son) and director Peter Farrelly (known more for his crude comedies) sadly underuse its potential power, referring to it merely in a contrived, flippant manner. Racial confrontations are mild at best, and undermine the incredibly important reasons why a film such as this should exist. Much more flavourful, relevant, immersive, and emotionally involving is Barry Jenkins’ arresting If Beale Street Could Talk, and between the two, should be the film nominated for Best Film. Like Bohemian Rhapsody, there are two reasons to see Green Book, and here it is Viggo Mortensen and Mahershala Ali, both of whom deliver excellent performances. Mortensen in particular shows considerable skill in overcoming the clichéd, almost cartoonish nature of his role, whose racist tendencies are kept to a minimum to ensure audiences don’t feel challenged in any way. Ali brings grace and dignity to Shirley, and one wishes the film explored in greater detail how an unnecessary, hateful outlook on the African American community had a deep, psychologically scarring effect on him. Linda Cardellini is once more criminally wasted. About as edgy as Driving Miss Daisy, Green Book is a missed opportunity. For a much better film dealing with the African American community, centred around an important moment in U.S. history, I recommend Spike Lee’s under-rated 1996 movie Get on the Bus. 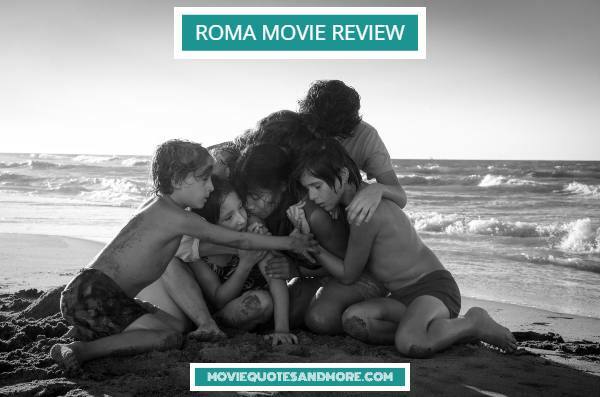 Extraordinarily personal drama from auteur Alfonso Cuaron, who manages to wrap his nostalgic memories within a larger canvas, showing major events that were occurring just outside his childhood bubble. Also onboard as producer, cinematographer and co-editor, Cuaron has crafted an almost dreamlike experience, one that is increasingly spiked by an encroaching reality, bridging the children’s burgeoning introduction to adulthood. Carol has previously designed and executed numerous one-take sequences, notably in Children of Men and the Oscar-winning Gravity, and he certainly doesn’t disappoint here, shooting with a fluid precision that is simply hypnotic. The best comparison one could easily make is Mikhail Kalatozov’s legendary 1964 masterpiece, I Am Cuba, which also combined the personal with the political. A non-professional cast do wonders under Cuaron’s careful guidance, with Yalitza Aparicio giving a natural, heartfelt performance. With all the Netflix controversy, it will be fascinating to see how many awards Roma wins, but it is a true work of art that is worthy of Oscar recognition. As much as I love this film, I hope that Hirokazu Kore’eda’s remarkable Shoplifters wins for Best Foreign Film, and I would also like to mention that Lee Chang-dong’s sensational Burning was mightily unlucky not to be nominated in this category. Much better than expected, this is a confident directorial debut from Bradley Cooper, but the material, which has been filmed many times before over several decades, can’t support Cooper’s convincing imagery, and collapses in a sea of clichés in its second half. I had never heard Lady Gaga sing before this, and was thoroughly impressed by her vocal abilities. This woman is the real deal. The role is certainly tailor-made for her, and even though she may not literally be playing herself, there are many elements that she would be certainly familiar with. Cooper also impresses on stage. The concert scenes do remind one of Martin Scorsese’s The Last Waltz and Mark Rydell’s The Rose, and are superbly presented on screen, largely thanks to the incredibly talented cinematographer Matthew Libatique (Pi, Requiem for A Dream, Black Swan, Mother!). The supporting cast are terrific, with Andrew Dice Clay, and especially Sam Elliott, managing to steal scenes from the star duo. 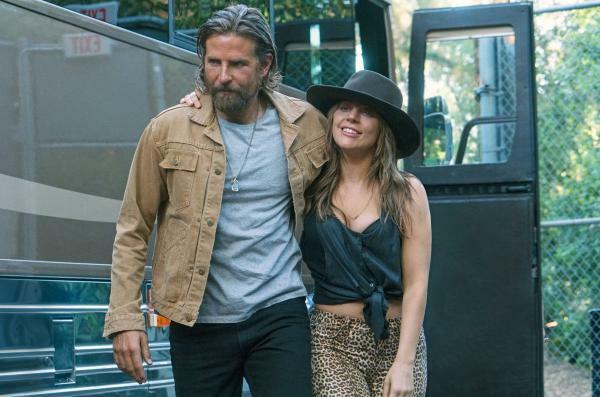 After a long gestation period (Clint Eastwood was to direct at one stage), the eventual result proves to be more than respectable, and it will be very interesting to see what Cooper does next as a film-maker. It is convenient of Adam McKay to make the same film again, replicating the exact same structure, gimmicks and style of The Big Short, so all I need to do is list all the problems that were front-and-centre with his previous effort, and attach them to Vice, which manages to be even worse than the surprise Oscar winner. Annoyingly skims over crucial details with multiple, hyper-edited montages, concentrates on cheap laughs and gimmicks, and offers little-to-no insight into its gallery of characters. 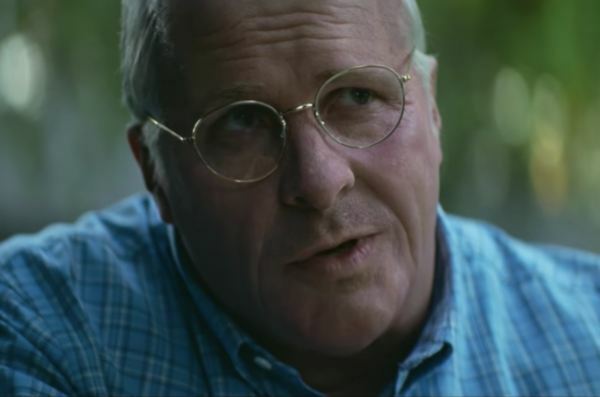 Christian Bale gives another committed turn, but due to McKay’s poor script and superficial direction, can only deliver a convincing imitation, rather than a searing examination of a very controversial figure. Sam Rockwell is having fun as George W. Bush, but again it’s a comic caricature with no depth. You know there’s something wrong with a film when the amazing Amy Adams is wasted. The multi-nominated actress does what she can, but her role is ineptly written. The only person to rise above the scattershot material is Steve Carell (who was the best thing in The Big Short, and nailed the movie’s only dramatically engaging scene), who gives an interesting interpretation of Donald Rumsfeld. McKay seems to have learnt nothing from the mistakes made on The Big Short (then again how could he, when the Academy gave him an Oscar for his highly problematic script), and the fact he has produced an exact copy of that film, warts and all, shows a film-maker who has yet to progress from episodic sketch comedy to something more substantial.